Dr. Ivo Vocko eignete sich während seiner annähernd zehnjährigen Tätigkeit im Fach Neurochirurgie unter anderem umfassende Erfahrungen auf dem Gebiet der Wirbelsäulenchirurgie an. Sein Spektrum umfasst sowohl degenerative als auch traumatische Erkrankungen der gesamten Wirbelsäule. Im Rahmen einer interdisziplinären Versorgung kommen dabei minimalinvasiv mikroskopische Techniken ebenso zum Einsatz wie stabilisierende und augmentative (Zementierungen) Verfahren. Auch Tumoren, sowohl der Wirbelsäule selbst, als auch des Rückenmarks und seiner Hüllen werden von Matthias Rothwinkler in möglichst schonender Weise mikrochirurgisch soweit als gefahrlos möglich operativ entfernt. Christian Wagner specializes in diagnostics and treatment counselling of spinal disorders (back pain, neck pain, spinal stenosis, herniated disk). Over the past 16 years, he has been able to gain a wealth of experience as a senior consultant in Munich in close cooperation with leading minimally invasive spine surgeons. At the APEX SPINE Center, he provides consultations regarding all issues related to the spine. Additionally to well-founded diagnostics and advice, micro therapy and pain therapy are among his special interests. He also leads the apex spine rehabilitation department. 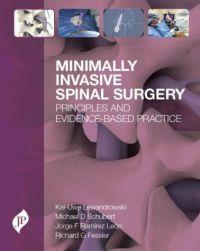 Dr. Michael Schubert, MD is - with more than 8.000 endoscopic surgeries - one of the leading experts in spinal surgery. His main focus is always to preserve natural mobility and stability of the operated segment (function preservation). As a renowned specialist, he is the contact point for his colleagues and spine specialists from all over the world. Spine specialists from many countries participate at his continuing education courses in order to learn the new endoscopic surgery technique. Lecturing at both the national and the international level, Dr. Schubert is interested not only in the practical realization, but also in scientific research and dissemination of the treatment of spinal diseases by minimally invasive techniques, concerning the entire spine. Dr. Armin Helmbrecht, MD has specialized in microscopic minimally invasive open surgical methods using a trocar (sleeve) in the recent years. In this way he has modified, amongst other things, the posterior approach to the cervical spine (for treatment of herniated disc and stenosis) into an access as wide as a finger. This offers the advantage of significantly shorter recovery times as well as the prevention of post surgical neck pain. With the same technique he is able to treat spinal stenoses of the lumbar and thoracic spine. As instructor and guest surgeon he is regularly on lecture tours to teach his new surgery techniques and stay in close contact to his international colleagues.